More and more businesses are taking advantage of content marketing. In fact, it’s estimated that content marketing will be a 300 billion dollar industry by 2019. 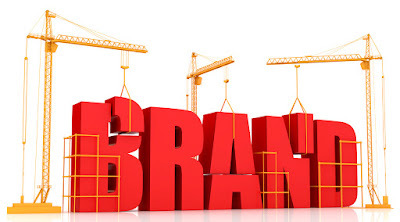 Good content marketing steadily drives leads while also enhancing a brand’s image. 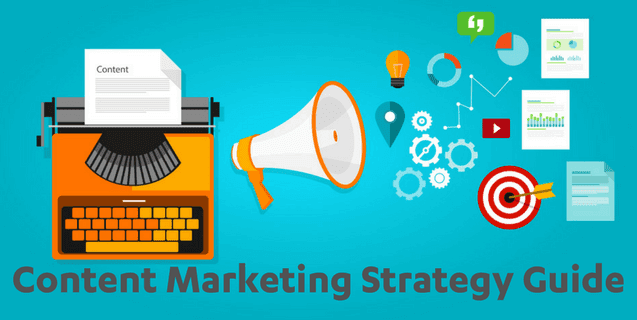 However, for many business owners and marketers, developing a content marketing strategy can seem like a daunting task. If you’re ready to dive into content marketing for your business but don’t know where to begin, we’ve put together a guide to help you with developing an awesome content marketing strategy. Content marketing is centered around creating great content on the web to attract and convert prospects into customers. The simplest place to start creating content is a blog, but there are other forms of content to explore. Evergreen content, case studies, emails, podcasts, and other web assets can all be part of a robust content marketing strategy. The first step of developing a content marketing strategy is a competitive review – essentially, an audit of what your competition is doing. As with any business application, it’s important to understand what your competitors are doing in the space already. Begin by identifying your competitors and browse their website to figure out exactly what type of content they are offering. Leveraging tools like Buzzsumo, you can gain insight into what content seems to be working best. Entering queries into Google that apply to your product or service and observing which sites tend to pop up is also useful for competitive review. By analyzing these factors, you can target areas where competitors are weak and potentially capture that part of the market with your content. Conversely, if you find a competitor who has a particularly strong content marketing strategy, you can emulate their strengths when creating your plan. Before beginning to churn out content, it’s essential to create buyer personas. Buyer personas are fictional descriptions of your potential customers. While many marketers skip this step, these personas are vital in helping the marketer understand and effectively communicate with potential clients. Taking the time upfront to consider what will be valuable to your customers ensures your content attracts the right people. Start with one or two personas and create every piece of content with a persona in mind. Blogging is the most common and straightforward form of content, but not all blogs are created equal. When writing a blog, it is important to be aware of SEO best practices. Search engines have algorithms that determine which article pops up when potential customer search. The language searchers use, or “keywords” are very important in this algorithm. Every marketer must conduct research to develop a list of keywords for their blog posts. Placing keywords in the correct places tends to lead to better search engine performance for your site. Use a tool like SEMRush to help you determine the best keywords to use in your content. That said, always ensure you are writing first for humans, and second for search engines. Also, don’t try and stuff as many different keywords as possible into a blog. Search engines will quickly recognize what’s known as “keyword stuffing” and penalize your site. For an in-depth guide to blog optimization, check out our best practices for company blogs. A content calendar is a schedule tracking what type of content will be produced on specific dates. Creating content on a regular, predictable basis is good for building readership and for SEO. Content calendars do not need to be overcomplicated. Many companies simply use Google calendars or an Excel spreadsheet. Within your calendar, you should note the persona, keywords, and topics you’re targeting with each blog post. Additionally, consider formulating blog posts that will supplement each other to increase the value you provide to readers. Once you’re finished developing a content marketing strategy, it’s time to start measuring metrics to increase efficiency. Knowing which metrics to pay attention to is a bit tricky for most beginners, but only because they don’t accurately define what success means to them. For example, if you’re measuring bounce rates (when a user leaves your page without engaging) on a landing page versus a blog post you will be misled by the metrics. Even successful landing pages tend to have high bounce rates because they are asking a prospect for their email address or other information. On the other hand, a blog post tends to have a lower bounce rate since the post is theoretically providing value (for free) to the reader. Comparing these two types of content and acting based on bounce rate would lead to ill-informed decision making. To learn more about the best metrics to measure content marketing campaigns, check out our guide to content marketing metrics. Developing a content marketing strategy takes patience and perseverance. It’s best to think of content marketing like a savings account. The work you put in each day is like a deposit. The more you deposit, the more it grows over time. Formulating a solid strategy before beginning will ensure a high return on your investment.